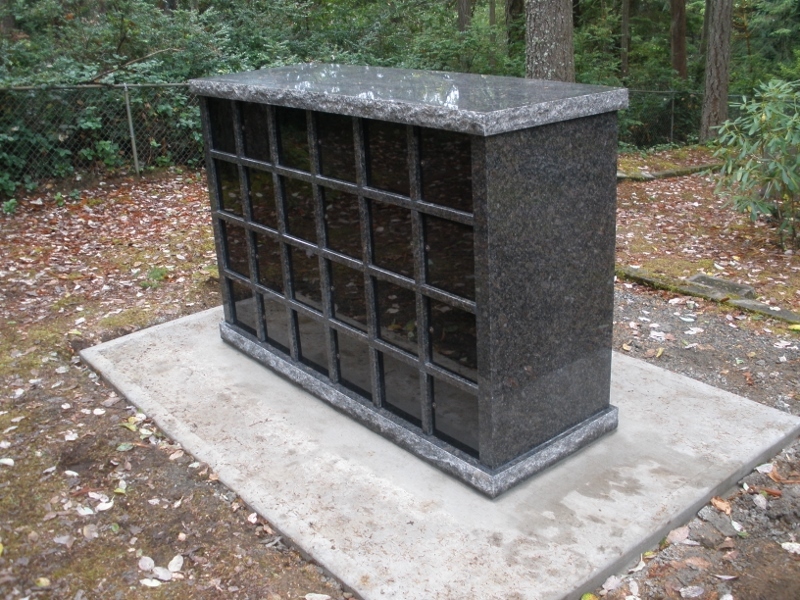 Burials in 2018: Liselotte (Scholtz) Price, Lane Eugene Packard, Judith Carloyn (McDonough) Gluba and Michael Lee Valley. Burials in 2017: Sarah M. (Aune) Hageness, Raymond Emile St. Ours, Judith Ann (Casey) Ryle, Robert Kenner, Jr., Yvonne E. (Lewis) Woelke and James E. Austin. Burials in 2016: Margaret Helen (Gellermann) Hays, Louis Wright Gellermann and Ailene M. Tronca. Burials in 2009:Amelia Ann Britten, Shirley Ann (Uddenberg) Knapp, RoseAnn (Ford) Hunt, John N. Marvik and Norma Ann (Pahl) Marvik. 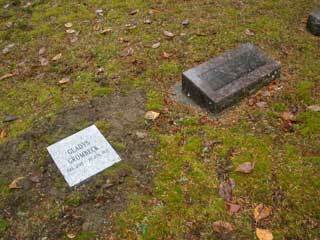 The Artondale Cemetery Association hosted a Veterans' Day celebration at the Artondale Cemetery (5512 Hunt Street NW, Gig Harbor, WA) at 11:00am on Tuesday, November 11, 2014. The Gig Harbor American Legion Post 236, the Gig Harbor Veterans of Foreign Wars Post 1854 and the Peninsula Veterans Honor and Color Guard provided military honors including a rifle salute for veterans. The St. Nicholas Knights of Columbus Council 9238 decorated the more than 65 veteran's headstones with American flags and presented a flag raising ceremony, assisted by Boy Scout Troop 212 flag bearers, and provided remarks about the 25 million living veterans. Click the photo below to see a slide show of the ceremony. Annual Dues: Thank you to all members who have over the years supported the Artondale Cemetery with annual dues and contributions. Many of you have contributed more than the $15 annual dues and we have made good use of the funds to maintain and improve the cemetery. We mail about 200 fliers each year in March and about 80 families respond. Again, thank you to all have supported the Artondale Cemetery Association in the past and we hope even more families will join in the support of our local cemetery. Burial Plots: Since 1895, the Artondale Cemetery Association has offered burial lots containing eight plots at the Artondale Cemetery. Now, years later, there are a number of lots with far less than the full eight burials used and no indication that there will ever be another family member buried there. 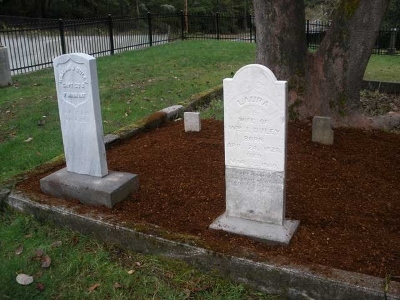 If your family has burial plots that will not be used, and your family is willing to give back or sell the unused plots to the Artondale Cemetery Association for use by others, please contact the ACA through the Sexton at Artondale@Yahoo.com or (253) 851-1625. The Artondale Cemetery Association has been providing gravestones for those who, over the years, had been buried without a gravestone. 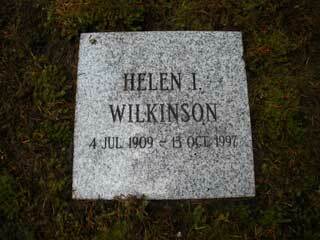 Previous efforts had replaced about 70 gravestones for ones missing or wooden ones that had deteriorated. 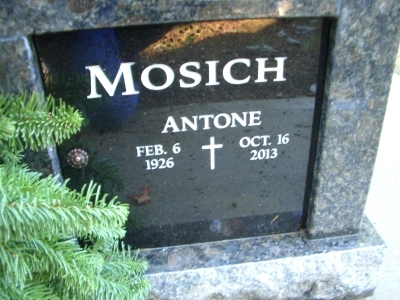 The pictures here show the most recent effort, the placement of ten new gravestones in October 2012. Current Artondale Cemetery Association rules require that a permanent gravestone is placed within one year of the burial. 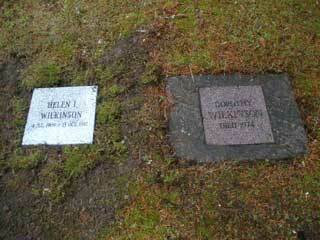 William J. and Laura (Terry) Duley's gravestones have recently been replaced or repaired. William, a Civil War Veteran, had only a small peice of his headstone remaining and Laura had a poem about mothers. Through the help of Gretchen Taflin, the grea-greatgranddaughter of William and Laura, we were able to get a replacement headstone for William from the Department of Veteran Affairs. Laura's headstone was found underground, about 8" down. 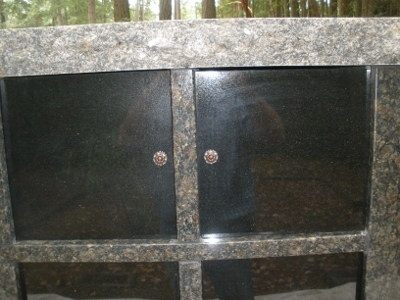 We cleaned and repaired Laura's headstone. 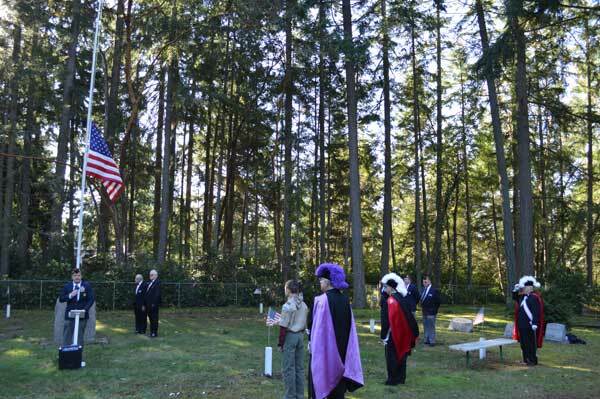 The Artondale Cemetery Association hosted a Veterans Day celebration at the Artondale Cemetery (5512 Hunt Street NW, Gig Harbor, WA) at 1:00pm, Friday, November 11, 2011. The VFW Post 1854 Honor Guards, in conjunction with the St. Nicholas Knights of Columbus, held military honors including a rifle salute for veterans on this 150th anniversary of the start of the Civil War. Of particular significance was the recent replacement of the Civil War veteran headstone of William J. Duley at the Artondale Cemetery next to his wife, Laura (Terry) Duley. William and Laura had moved here in about 1870. 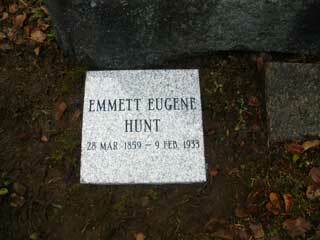 Their son, Jefferson, became the Chief of Police in Tacoma in 1908. On Wednesday, May 25, 2011, The Peninsula Gateway featured (on the front page!) 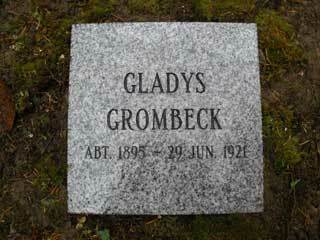 an article, "Cemeteries Offer a Glimps into History" with pictures from the Artondale Cemetery. A well-written article by Alice Nelson. 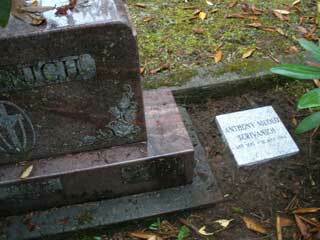 Gravestone Cleaning and Repairing: We are in the process of cleaning and repairing gravestones. Recent efforts include releveling the Keller and Marsh gravestones that, over the years, had sunk into the ground and the top sections fallen off. See the pictures. 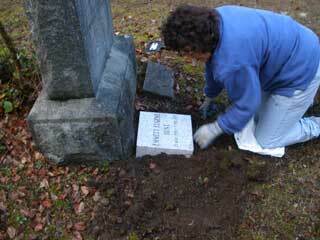 Tree Removal: The Artondale Cemetery Association has the responsibility to maintain the Artondale Cemetery. In that effort, 8 trees have been identified that are either causing damage to gravesites or by their removal, would allow more burials. A vote at the ACA general meeting approved the removal of those 8 trees. Bids were requested for removal of those 8 trees and they were removed by Archon Trees Services, Inc, of Gig Harbor, WA on 20-22 September 2010. See the pictures. And again in May 2011, an arborist identifed five smaller trees that were dying or dangerous. Those five trees were removed 13 May 2011. 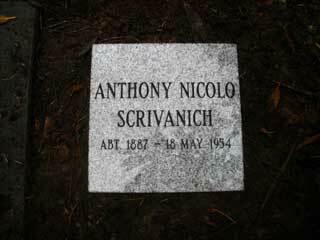 All five trees were in the southest corner in an area with no burials.